Listo Fisher is an award-winning newscaster who has worked as a host, anchor, and announcer at WCRB, WRKO, WHDH and WBZ, all Boston radio stations, as well as at stations in Ohio, Indiana, New York, and Cape Town and Johannesburg in South Africa. A self-described “news junkie” and classical music lover, he lives in Brookline with his wife, Lydia Rodman. Fisher has also served as Director of Communications for the Massachusetts Division of Employment Security and as the Public Information Officer for the Massachusetts Bay Transportation Authority. He is bilingual in English and Spanish. Listo has been attending Trinity Church Boston for more than 40 years where he serves on The Vestry, is a Lector, an Usher and has also served as a Delegate to the Episcopal City Mission. 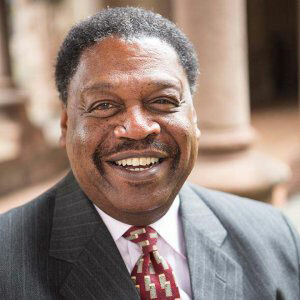 He is on the Board of Sherrill House, an independent not-for-profit, skilled nursing and rehabilitation center, located in Jamaica Plain, and he previously served on the Board of The Brain Injury Association of Massachusetts.